The Vienna Boys Choir, one of the world’s most famous singing groups, wowed a sell-out crowd of 475 people here on Tuesday night. The acoustics in the Seventh-day Adventist Church — a more intimate setting than a big concert hall — were spectacular for the performance that lasted about 1 1/2 hours. The choir has been a symbol of Austria for more than 500 years. My wife, son and I were eager to wring out more memories from our recent Austrian vacation by attending the performance. Forty dollars was still cheaper than a plane ticket to Vienna. The Boys Choir used to sing more 16th-century music, clearing out the bored children at intermission, according to a gentleman sitting next to me, who was a family friend of one of the choir members. Not nowadays. The choir performed songs from around the world — the United States, South Korea, India and Israel — along with Vienna classics and other Austrian songs. Our son, who was sitting about 10-feet away from some of the choir members, was entranced. For two songs, the choir walked into the audience, singing the whole time. Another song was a “sing along” — in German. The crowd did well, though. My favorite was still Strauss’ “An der shönen blauen Donau” (AKA Blue Danube Waltz). I still have the LP. The program is here. Our son said he liked “Oh Happy Day” the best. The Boys Choir came to Grass Valley en route from Davis’ Mondavi Center to Chico. It was a coup for artistic director Ken Hardin to sign them up. TCCA, now changing its name to In-Concert Sierra, would like to invite them back, board president Keith Porter told me on the way out. Not to put down the vocal talents of these young men, but after watching the video, it struck me as odd that Austria is land locked and the boys were wearing sailor suits. Just an observation. The Austro-Hungarian navy protected coastline it held along the Adriatic Sea until WWI. Capt. von Trapp was a decorated navy hero. Heck, county Supervisor Nate Beason, who wears a “N” cap around town, is a retired navy officer in a land-locked county. Cheers. 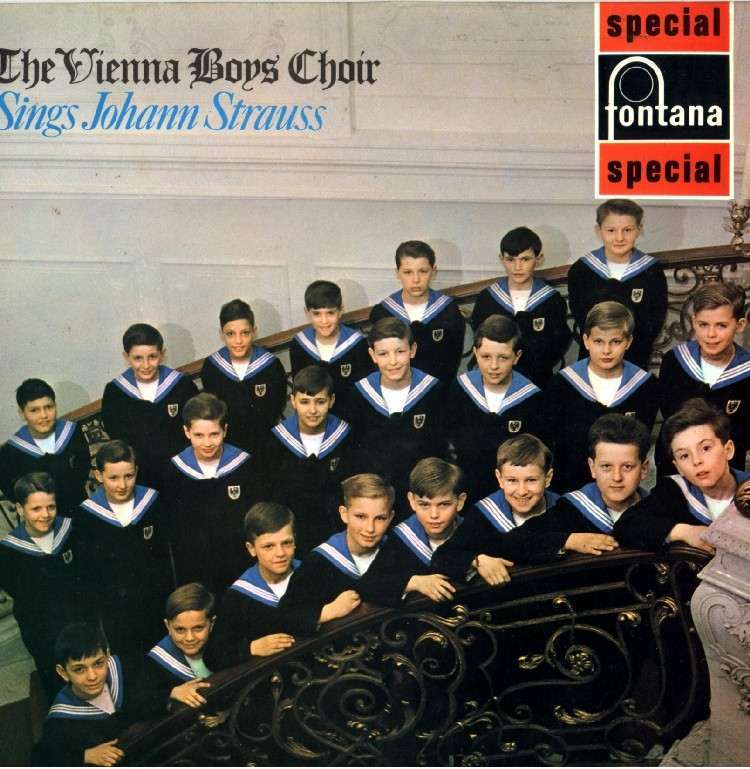 Agreed, The Vienna Boys Choir is spectacular! Off topic, sorry, but regarding local music…..did anyone catch Nevada City resident/musician Dan Elkins on The David Letterman Show Tuesday night? He is currently touring with the band Broken Bells and they did a live performance on his show. Dan plays guitar and backup vocals. I know. Sorry about that. I couldn’t find how to do that on my keyboard. I didn’t know how either until just a second ago when I went and looked it up here. (Sorry for the diversion off-topic, but I enjoy chasing this kind of stuff down). Or just cut and paste an “ö” into the text. I once worked with a young woman who insisted on using the ë in Zoë on her very first day at work.